Mobile browsing: A trend or hype? In 2014, The ITU (International Telecommunication Union) estimates that by the end of 2013, there will be around 6.8 billion mobile-cellular subscription globally, with that figures set to near the 7-billion mark in 2014. As stated by Google, before the end of 2014 it may see more search queries via mobile devices than desktop. Also, the global mobile data traffic grew 81 percent in 2013 and is expected to increase in the coming years. 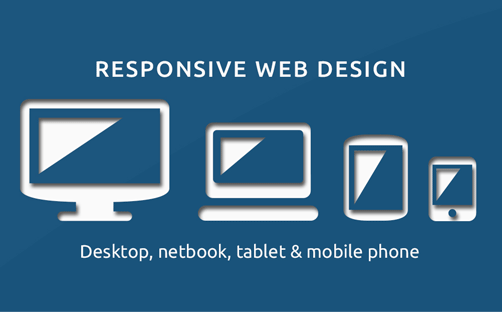 In a layman’s term, a responsive web design allows your site to fit on different devices while delivering a better user experience. If you don’t want to lose a potential customer just because they were prompted with a messy, hard to read website on their mobile phones, then having a responsive website is a must. 1. 67 percent of mobile users admitted they are more likely to buy a product or service when they are proposed with an enjoyable mobile experience. 2. 48 percent said that if a site is not working properly on smartphones, the company does not value their business. According to Google PageSpeed Developers, the content above the fold on a mobile device loads under 1 second and the entire page loads under 2 seconds. This scenario tends to be impossible when a desktop website loads on a mobile device. Also, responsive designs contains only one single URL that makes it easier for Google bot to crawl your site as well as reduce the chance of on-page SEO errors. Before the responsive web design, people tend to develop a stand-alone mobile site. To detect that the site is viewed on a mobile, it has to be recognized via a device detection system, though in some circumstances it didn’t work properly. Creating a separate version of the site, for desktop, mobile and tablet requires a lot of money and time. With responsive web design, you don’t need this cumbersome approach. In this fast paced world, we can see the future with a bunch of newly developed technological advancements. The responsive website will continue to adapt to screens of all sizes because it is designed based on the screen size and not on the device. Every year a millions of new smartphones are being shipped in various parts of the world. This means that our mobile browsing activities are also changing drastically. Having a mobile website is no longer an option, rather it is now a necessity that creates a great impact on the growth of your business.